Sewing Gallery – Seeing Is Believing! Creating a sewing gallery is such fun! Talking about how much we love to sew is one thing, seeing the results of our sewing fun can give others ideas for how they too can have fun sewing. Maybe these images can give you some ideas for how you can have sewing fun with store bought sewing patterns. You can still be creative using store bought patterns. Part of the fun is mixing and matching pieces from different patterns to create your own unique outfits. 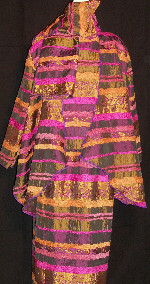 Creating your own unique styles through colors and fabrics is also part of the fun. Take a look at how using different materials and colors can make even the same pattern look new and different. 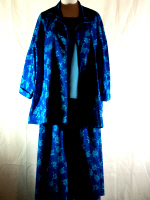 Using a different fabric to create a different look for Simplicity Pattern S4371. 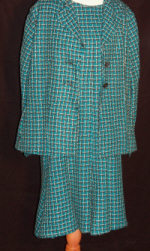 There are some great patterns that can be used for making Fall and Winter clothing from skirts to pants and jackets. 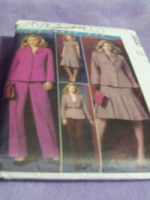 Butterick B4295 is a great example. One great pattern that I found to be suitable for boucle is McCall's Pattern M4930. The question has been asked by those that want to use store bought sewing patterns to mix and match and create their own unique outfits for themselves or for others as part of a sewing business, can it be done or even should it be done? Absolutely! Once you begin mixing and matching patterns there is no end to the outfits that can be created, either for oneself or for those others that one may sew for. There is no rule in the sewing world that says that you have to use all of the pieces from one company’s patterns to create an outfit. Mixing and matching is definitely allowed. Who knows, it can be the ticket for some to actually create their own designs from scratch. Creativity comes in many forms and with sewing the sky’s the limit and the combinations endless! 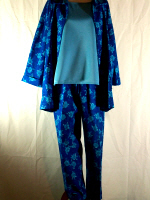 Here is an example of what you can create using Butterick, McCall’s, Simplicity and Vogue patterns to create an outfit. Choosing great fabrics such as linen or jacquard and knowing their fabric characteristics and uses can result in a good use of fabric. Here are just a few of the projects that made good use of linen fabric mixes different patterns to create a unique design. 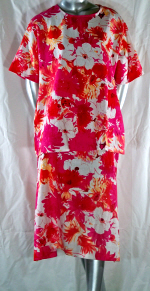 The pink flora tank dress was created using McCall's pattern M2208. 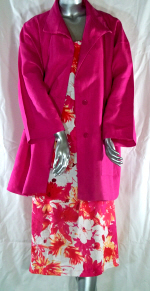 The pink solid jacket was created using Vogue pattern V7809. 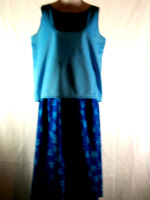 The pink floral skirt was created using Butterick pattern B4235, pattern A. 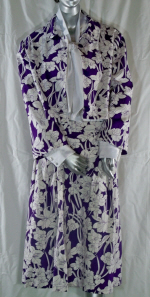 The pink floral tank top was created using Butterick pattern B5948, pattern C.
The purple floral linen dress was created using Butterick pattern B4682. 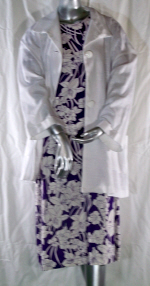 The white linen like jacket was created using Vogue pattern V7809. 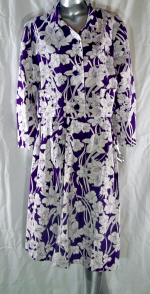 The purple floral linen suit was created using Butterick pattern B4999. The white satin blouse was created using McCall's pattern M4921, pattern C.
Using a jacquard fabric with the same pattern, but in a different color can create a totally different look. The stretch jacquard seen below is actually the same pattern as the gold and fushia creation at the beginning of the gallery. But, using different patterns a totally different look has been created. 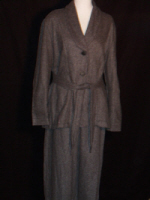 The brown and grey stretch jacquard dress was created using Butterick pattern B4682. 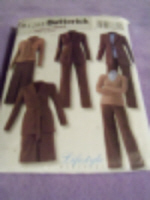 The brown satin jacket was created using McCall's pattern M5143, pattern A. Do You Have A Photo of A Sewing Project That You Are Proud Of? Do you have a sewing project that you are proud of? 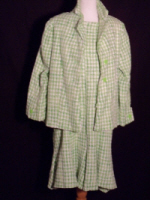 One that you made from a store bought sewing pattern or from scratch? Want to show it off? Have a story about it? Please share your photos and your story.